The impact of rate rises, the risk of no insurance and the reason why you should use a broker - our consumer journalist Christine Toner brings you all the latest from the mortgage world. The impact of last year’s interest rate rise may have been minimal but experts are predicting another rise this year could have a sizeable impact on mortgage repayments. According to estate agency group Savills a 1% interest rate rise would add £10 billion to the UK’s mortgage bill, ultimately adding £930 a year to the cost of the average mortgage. 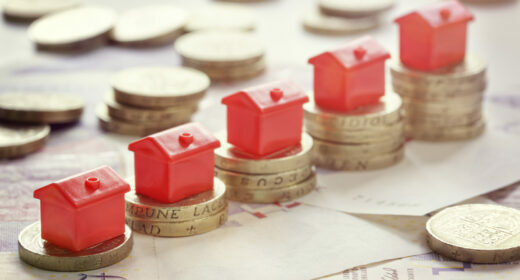 The research found four in 10 borrowers on variable rate mortgages would be first to feel the pain with their annual mortgage bills rising overnight by £4.3 billion, while the 59% on fixed-rate deals would be impacted later, as fixed terms expire. “This would bring an end to the historically low mortgage costs that have boosted housing affordability and limit the buying power of those needing a mortgage, and underscores our forecasts for more subdued house price growth over the next five years,” says Lucian Cook, head of residential research at Savills. Latest research from comparison site GoCompare paints a worrying picture about UK homeowners. The ‘Britain Uncovered’ study found over a quarter of households – 7.5 million – have no contents insurance leaving possessions worth over £266 billion unprotected and at risk. Georgie Frost, consumer advocate at GoCompare, said: “Unlike buildings insurance, which is compulsory with a mortgage, contents cover is completely optional and for many, particularly those in their 20s and 30s, getting it doesn’t appear to be a priority. There are plenty of good reasons to use a whole of market broker when looking for a mortgage – not least the fact they can find the right mortgage for you from a whole host of different lenders. And now it seems there’s even more reason to visit a broker as a study by the Intermediary Mortgage Lenders Association (IMLA) found almost nine in 10 first time buyer applications made through a broker were accepted. Kate Davies, executive director of IMLA, said: “In particular, first-time buyers have benefited from widely available and competitively priced deals, even before the extra confidence boost of the stamp duty exemption announced in the Autumn Budget. “It is encouraging to see that mortgage repayments have remained stable even as more first-time buyers make the step up onto the housing ladder.